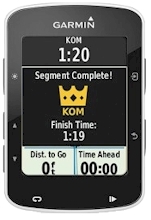 Please find a comparison chart of the various models in our GPS buyer's guide. If you wish to rent a GPS device or map for a trip or just to get to know it, please find our offerings at GPSrent. For detailed information click on the model name or on the picture. To order an item, click on the price and then on the shopping cart symbol or the price in the detailed description. Portable, robust GPS with built-in antenna and easy to read color display. Supports sending and receiving short messages and triggering interactive emergency calls to GEOS via Iridium satellites from every location worldwide without the need of a mobile network (inReach subscription required). Portable, robust GPS with built-in antenna and easy to read color display. Built-in electronic 3D compass, barometrical altimeter and G-sensor. Pre-installed worldwide base map plus topographical DeLorme maps of Europe, Africa and Middle East which support auto-routing. Stores waypoints and routes. USB interface for data exchange with PC. 2 GB built-in memory to store additional maps. Supports sending and receiving short messages and triggering interactive emergency calls to GEOS via Iridium satellites from every location worldwide without the need of a mobile network (inReach subscription required). Rugged hand held GPS device with large color display, integrated base map, auto-routing, slot for uSD memory card, high-speed USB interface, electronic compass, barometrical altimeter, support for WiFi and wireless communication with compatible devices. Supports the US GPS, the Russian GLONASS and the European GALILEO satellites. Rugged hand held GPS device with large color display, integrated base map, pre-installed TopoActive Europe, auto-routing, slot for uSD memory card, high-speed USB interface, electronic compass, barometrical altimeter, support for WiFi and wireless communication with compatible devices. Supports the US GPS, the Russian GLONASS and the European GALILEO satellites. Various options such as cables, mounting kits, cases etc. Very rugged, portable, multi-functional GPS device with extra large color display. Highly suitable as hand held device and as navigation device in vehicles. Fast change between operation modes through adjustable profiles. Rich feature set and very easy to use. Touch screen based user interface. Data exchange with PC. Slot for µSD memory card to store additional maps. Supports the U.S. GPS and the Russian GLONASS satellites. Very rugged, portable, multi-functional GPS device with extra large color display. Highly suitable as hand held device and as navigation device in vehicles. Fast change between operation modes through adjustable profiles. Rich feature set and very easy to use. Touch screen based user interface. Data exchange with PC. Slot for µSD memory card to store additional maps. 8.0 megapixel built-in camera. Supports the U.S. GPS and the Russian GLONASS satellites. Very rugged, portable, multi-functional GPS device with extra large color display. Highly suitable as hand held device and as navigation device in vehicles. Fast change between operation modes through adjustable profiles. Rich feature set and very easy to use. Touch screen based user interface. Pre-installed topographic recreational map of Europe. Data exchange with PC. Slot for µSD memory card to store additional maps. 8.0 megapixel built-in camera. Supports the U.S. GPS and the Russian GLONASS satellites. 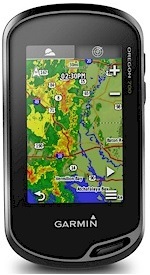 Portable, robust GPS with built-in antenna and large, easy to read color display with multi-touch screen. Integrated base map. Stores waypoints, routes and tracks. Slot for µSD memory card. 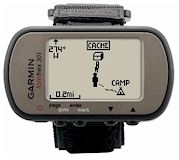 Supports WiFi, Geocaching Live, Active Weather, Connect IQ and Live Tracking. USB interface for data exchange with PC. Faster and more precise location tracking thanks to additional support for GLONASS satellites. 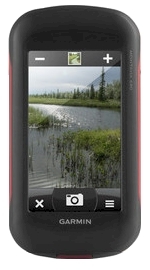 Portable, robust GPS with built-in antenna and large, easy to read color display with multi-touch screen. Integrated base map. Built-in 8 Megapixel camera. Stores waypoints, routes and tracks. Slot for µSD memory card. Supports WiFi, Geocaching Live, Active Weather, Connect IQ and Live Tracking. USB interface for data exchange with PC. Faster and more precise location tracking thanks to additional support for GLONASS satellites. Portable, robust GPS with built-in antenna and large, easy to read color display with multi-touch screen. Integrated base map plus preloaded map TopoActive Europe. Built-in 8 Megapixel camera. Stores waypoints, routes and tracks. Slot for µSD memory card. Supports WiFi, Geocaching Live, Active Weather, Connect IQ and Live Tracking. USB interface for data exchange with PC. Faster and more precise location tracking thanks to additional support for GLONASS satellites. 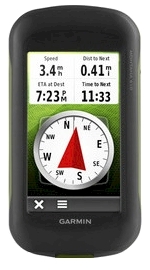 Portable, robust GPS with built-in antenna, large, easy to read color display and integrated base map. Stores waypoints, routes and tracks. Slot for µSD memory card. 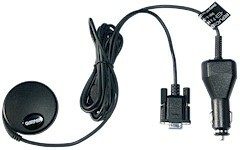 USB interface for data exchange with PC. Faster and more precise location tracking thanks to additional support for GLONASS satellites. 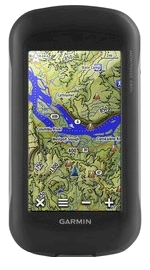 Portable, robust GPS with built-in antenna, large, easy to read color display and integrated base map. Stores waypoints, routes and tracks. Electronic compass and barometrical altimeter. Slot for µSD memory card. USB interface for data exchange with PC. Faster and more precise location tracking thanks to additional support for GLONASS satellites. Portable, robust GPS with built-in antenna, large, easy to read color display, integrated base map plus pre-installed topographic map of Europe. Stores waypoints, routes and tracks. Electronic compass and barometrical altimeter. Slot for µSD memory card. USB interface for data exchange with PC. Faster and more precise location tracking thanks to additional support for GLONASS satellites. Robust, portable, water resistant GPS with built-in antenna and easy to read, monochrome display. Integrated base map. Stores waypoints and routes. USB interface for data exchange with PC. Faster and more precise location tracking thanks to additional support for GLONASS satellites. Robust, portable, water resistant GPS with built-in antenna and easy to read, color display. Pre-installed topographic map of Western Europe. Stores waypoints, routes and optional maps. USB interface for data exchange with PC. 3.6 GB built-in memory plus slot for optional µSD memory card. Faster and more precise position tracking thanks to additional support for GLONASS satellites. Robust, portable, water resistant GPS with built-in antenna and easy to read, color display. Pre-installed topographic map of Western Europe. Stores waypoints, routes and optional maps. USB interface for data exchange with PC. 3.6 GB built-in memory plus slot for optional µSD memory card. Tilt compensated electronic compass and barometrical altimeter. Faster and more precise position tracking thanks to additional support for GLONASS satellites. 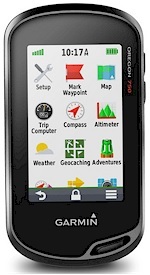 Portable, robust GPS with built-in antenna and easy to read color display with touch screen. Electronic compass. Pre-installed topographic map of Western Europe. Stores waypoints and routes. USB interface for data exchange with PC. 7.23 GB built-in memory plus slot for optional µSD memory card. Faster and more precise position tracking thanks to additional support for GLONASS satellites. 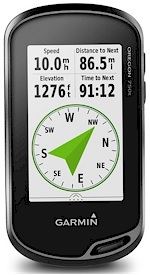 Portable, robust GPS with built-in antenna and easy to read color display with touch screen. Electronic compass and barometrical altimeter. Pre-installed topographic map of Western Europe. Stores waypoints and routes. USB interface for data exchange with PC. 7.23 GB built-in memory plus slot for optional µSD memory card. Faster and more precise position tracking thanks to additional support for GLONASS satellites. Portable, robust GPS device, designed as bike computer. Built-in high sensitive antenna and large, easy to read display. Can receive data from heart rate and cadence sensor. Data exchange with PC and GARMIN Connect. Faster and more precise position tracking thanks to additional support for GLONASS satellites. Shapely, portable, robust GPS device, designed as bike computer. Built-in antenna and large, easy to read color display. Easy to use user interface with touchscreen. Recreational map of Europe and slot for µSD memory card to store even more detailed maps. Can receive data from heart rate and cadence sensor. Faster and more precise position tracking thanks to additional support for GLONASS satellites. Various training programs. Stores waypoints and routes. Data exchange with PC. Supports remote control for more convenient operation during the ride. Robust 12 channel wrist top GPS with built-in high sensitive antenna, easy to read display, multi-lingual, stores waypoints and tracks your trips. Robust 12 channel wrist top GPS with built-in high sensitive antenna, easy to read display, multi-lingual, stores waypoints and tracks your trips. Electronic compass and barometrical altimeter. Very robust wrist top GPS with built-in high sensitive antenna, easy to read display, multi-lingual, stores waypoints and tracks your trips. Electronic compass and barometrical altimeter. Faster and more precise position tracking thanks to additional support for GLONASS and Galileo satellites. Very long battery life time: 48 h in GPS mode, 1 week in UltraTrac mode, 1 month in watch mode. Robust, multi-purpose GPS device with large 5" display, fast auto-routing, color display, operated by keys, worldwide base map, pre-installed topographic recreational map of Europe plus Blue Tooth-, WLAN- and USB interface. Suitable for all kinds of vehicles and boats. Slot for optional µSD memory card. 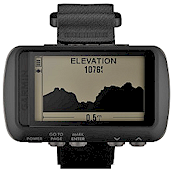 Successor of the legendary GARMIN GPSMAP 276C. GPS device with large 6" display, fast auto-routing, voice guidance including announcement of street names, lane assistant with foto-realistic junction view, traffic news receiver, color display with touch screen, worldwide base map, pre-loaded detailed maps of all of Europe plus Blue Tooth and USB interface. Suitable for all kinds of vehicles, especially for campers and motorhomes. Computes optimized routes based on your vehicles size and weight. Slot for optional µSD memory card. Backup camera available as pack or as an option. GPS device with extra large 7" display, fast auto-routing, voice guidance including announcement of street names, lane assistant with foto-realistic junction view, DAB traffic news receiver, color display with touch screen, worldwide base map, pre-loaded detailed maps of all of Europe plus Wi-Fi, Blue Tooth and USB interface. Suitable for all kinds of vehicles, especially for campers and motorhomes. Computes optimized routes based on your vehicles size and weight. Slot for optional µSD memory card. Backup camera available as pack or as an option. Robust 12 channel wrist top GPS with built-in antenna, easy to read display, multi-lingual, stores training data including heart rate. Suitable for workouts outdoor, can be used as a heart rate monitor indoor. Robust 12 channel wrist top GPS with built-in antenna, easy to read color display, multi-lingual, stores training data including heart rate using a built-in heart rate monitor and analyses run dynamics using a built-in G-sensor. Suitable for workouts outdoor and indoor. 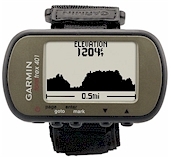 Multi-sport wrist top GPS with built-in antenna, easy to read display, multi-lingual, stores waypoints plus training data including heart rate and moving patterns of your body (pack). Suited for swimmer, runner, biker and other sport enthusiasts. Faster and more precise position tracking thanks to additional support for GLONASS satellites. A full-featured wrist watch for all kinds of outdoor activities including running, hiking, mountaineering, biking, winter sports, geocaching etc. Pre-installed topographic map of Europe with points of interest (POIs). The Topo model also includes a pre-installed topographic map of Switzerland. These maps do not support autorouting. However, the device features autorouting if an optional map is installed. The epix provides 8 GB memory to install such maps. It is asy to handle using either the buttons or the touch screen. Features a barometrical altimeter and an electronic compass. Stores waypoints, routes and tracks and supports TracBack. Supports wireless HRM-Run heart rate monitor with G-sensor, cadence and temperature sensor . Water resistant to 50 m. Strong housing and scratch resistant mineral glass. 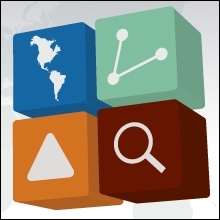 Software to manage and analyze GPS data. Supports data exchange between PCs and GPS devices. Contains digital maps of various geographic regions. User interface in 9 different languages. 12 channel GPS with flip-up antenna, mounts in CF-slot of any Pocket PC, includes 64 MB built-in memory to store additional maps. Many accessories included: Universal mounting kit with removable base , software for Pocket PC and Windows Mobile and for data exchange with a Windows PC. 12 channel GPS antenna with serial interface to connect to a notebook and plug to receive power from a car cigarette lighter. 12 channel GPS antenna with USB interface to connect to a notebook. GPS with built-in antenna and serial or USB interface, 12 channels, supports the NMEA-0183 protocol. The models below have been discontinued or are only available on request. However, we still provide options and replacement parts for these devices. GPS and options are usually available from stock if not otherwise marked and are usually shipped on the next working day after receiving your order. We update our selection of offered models frequently. We sell other models on request (if available). Please note that we have no shop, we sell our goods only by mail (this is the main reason for our very competitive prices). GPS stands for "Global Positioning System", a world wide, satellite based navigation system. It is operated by the U.S army and may be used by anybody for free. However, the accuracy of the position may vary depending on the location. The signals of the GPS satellites pervade glass or plastic, but not solid materials such as walls or metal. Therefore, GPS devices work fine outdoors or in vehicles, but not in buildings or under water. However, receiption may be disturbed in vehicles with coated windows or if there are wires in the glass. Some GPS devices have a connector for an external antenna that can be fixed outside the car to improve receiption. The accuracy of the position indication is typically between 5 and 10 meters (15 and 30 feet). Before May 2000, the accuracy was lowered by intention. This disturbance - known as "selective availablility" (SA) - was turned off on the orders of the former president Bill Clinton, see satellite based positioning system is now available at its full potential ! (However, the SA is still active in a few countries and therefore, the accuracy not as good as possible in these areas). Various car manufacturers already provide GPS based navigation tools. Usually these devices are connected to the audio system of the car, therefore they cannot be used stand-alone. But there are also GPS devices available as PCMCIA or CF cards or with a serial or USB interface (see above). With such a device, any PC - and even more important - any notebook or PDA with at least a slot for a type II PCMCIA or a Compact Flash card or a serial or USB interface, can be turned into a mobile navigation system.